Which Bass Spinning Reel Should You Buy? 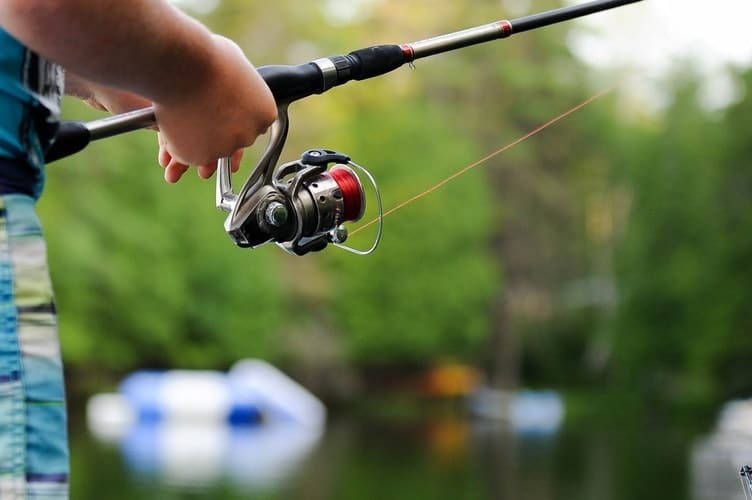 Home » Fishing Tips » Which Bass Spinning Reel Should You Buy? Bass fishing requires finesse tools such as light lines, light baits and spinning reels. Spinning reels in particular, have several advantages that make them ideal for bass fishing. For instance, they can easily handle light lines to cast light lures due to their fixed, open spools. With such a mechanism, it is easy to shoot the line out of the rod’s guide mechanism at a very fast speed, enabling you to cast your line far out into bass fish territory while still on your boat. Aside from that, spinning reels are very versatile. They can be used with live bait for catching other types of fish as well and are quite easy to use. With many spinning reels being available on the market, one specific reel stands out from the rest due to its high-quality features. When fishing for bass, you need a strong drag system. This fishing reel is equipped with a HT-100 drag system which is made entirely from carbon fiber. It has carbon fiber drag washers that can handle those sudden fish movements as it tries to free itself from the hook. These washers are treated with a special type of grease that ensures they provide you with a smooth and long-lasting performance. A smooth drag enables you to keep your line in one piece when the fish makes sudden dives into the water. It does so by balancing between the hook penetration and providing enough power to keep the pressure on the fish. This spinning reel is one of the best spinning reel for bass fishing. The body is crafted from metal, making it very strong. This property is ideal for “fish fighting” because bass fish do not go down easily without a fight. A metallic body is also very durable and can give you a long service life even when exposed to punishing fishing battles on every fishing expedition. Additionally, the reel’s side plate and rotor are also fully metallic. Its bail wire is made from heavy-duty aluminum and this further increases its strength and durability. Most of the time when bass fishing, you will need a long line so that you can cast it further. The Penn spinning reel has a very large spool size to store a long enough line for the task. It has 3 line markings for showing whether the line is 1/3 full, 2/3 full or full to capacity. This is quite important because it lets you know the line length left for you to work with, at a glance. The spool is also fitted with a rubber gasket, which prevents the line from slipping when dragging the fish. This spinning reel has a very smooth cranking system. This system is fitted with 5 sealed, stainless steel ball bearings that are smooth, strong and are not susceptible to damage by water. It is also fitted with an instant anti-reverse bearing that prevents pullbacks, giving you an easy time pulling in your catch. The Penn Battle 2 spinning reel is fully featured with all the essential bass catching tools. From the features described above, it is safe to assume that it is quite expensive. Well, that is not the case. It actually costs a whole lot less than other spinning reels in its category, making it probably the best bass spinning reel under 100. Therefore, this is definitely something that every angler should consider owning in his/her collection of reels. What to Do When You Face Lightning in the Mountain?